Today Ben announced the seventh and eighth grant awards of the 2017 season from the Ben Roethlisberger Foundation at The Giving Back Fund. Ben’s foundation will be distributing grants to the Macomb County Sheriff’s Office and the Livonia Police Department, both just outside of Detroit where the Steelers will play the Lions on Sunday, October 29th. The Macomb County Sheriff’s Office will use the grant funds to add a K-9 to their unit, while the Livonia Police Department will use the funds to purchase safety and training equipment. Throughout the 2017 NFL season, Ben will continue to distribute grants to K-9 units of police and fire departments in the cities and surrounding communities of each regular season away game for the Steelers. 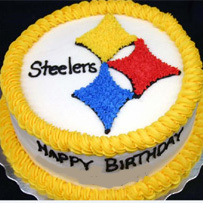 If the team makes the playoffs, Ben will also consider a grant to a non-NFL market city in the United States. 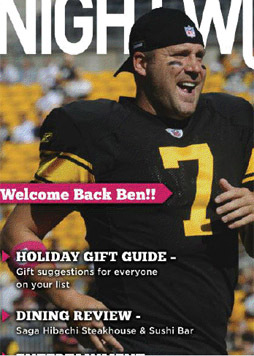 And of course at the end of the season, Ben will distribute several grants to the Pittsburgh area. 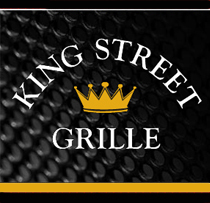 “We would like to express our gratitude to the Ben Roethlisberger Foundation for choosing our office as a grant recipient. This funding will help to build our K-9 program with the purchase of a new dog. Our K-9 units play an important role in our law enforcement efforts, both in the community and our jail, while strengthening our relationship with our citizens.” — Macomb County Sheriff Anthony Wickersham. 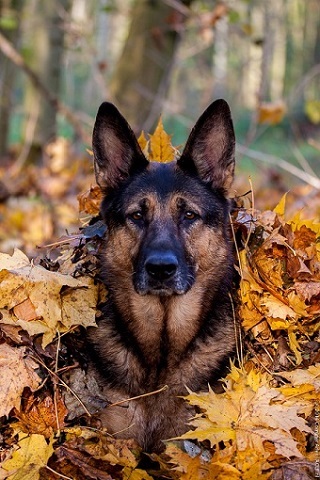 You can support future K-9 grants by purchasing candy on Sarris Candies’ website, (www.SarrisCandiesFundraising.com), using a special purchase code (77-7777). 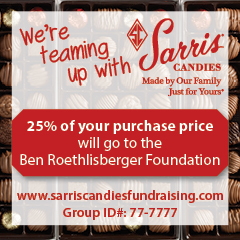 Sarris will donate 25 percent of the purchase price to the Ben Roethlisberger Foundation. You can also donate directly right here. 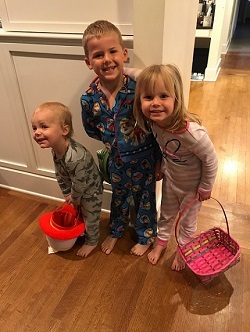 For more information about Ben’s foundation, just check out his foundation page. But you can get even more by contacting Jessica Duffaut at www.givingback.org. ← It’s a Throwback Thursday, Autumn Edition!